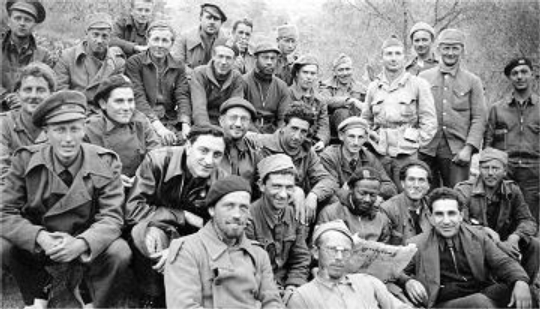 During the Spanish Civil War (1936-39), almost forty thousand men and women from fifty-two countries, including 2,800 Americans volunteered to travel to Spain and join the International Brigades to help fight fascism. The U.S. volunteers served in various units and came to be known collectively as the Abraham Lincoln Brigade. February 12th was Abraham Lincoln’s birthday. On that date I always remember the Spanish Civil War and the Americans and others from around the world who traveled to Spain to fight for Democracy. Below is a fictional account of one Russian immigrant who came to America seeking freedom, and then left, defying his fiancé and family, to fight for an ideal. Daylight was fading and the sound of artillery fire was getting uncomfortably closer. David lay shivering in a muddy trench blending with the earth as the heavy smell of mold clung to his uniform and his hair. The sounds of his stomach no longer tricked him into wanting to eat‒there were no rations and they had not eaten since yesterday morning. The hardest thing to face was the look of defeat on every man’s face. Even the brave ambulance drivers had stopped their snake-like maneuvers to pick up the wounded. Men were dead or dying all around him. I came to America hoping for a better world. Oh, yes, I know you’re thinking, “He’s a bloody fool” and you’re probably right. But the execution of Sacco and Vanzetti made me realize I had traveled half way around the world only to find more hunger, human injustice, and fear. The land of the free and the lady with the torch had let me down. And it was time that I did something worthwhile, no matter what the outcome. I fooled myself into thinking that the uniform I bought from the Army-Navy surplus store, along with the tourist ticket, was an act of courage. In reality, it was only to hide the simple truth that I was performing an illegal act. An American going to fight against Franco. I suppose I should have had some kind of premonition as to how difficult this fight really was going to be. When I arrived in France and met with other volunteers, we felt only a sense of adventure as we boarded a train to the edge of the Pyrenees Mountains. But by the time we trekked through the snow-filled mountains to Catalonia, purpose was the only thing that kept us going. Finally, at the northeastern border town of Figueras, we organized and received our orders from Albacete, headquarters for the International Brigades. In a few hours we were taught how to use a rifle and I joined a small group of seasoned Americans who had survived winning battles in Saragossa, Belchite,. and Tercul. They all spoke of those victories as times past. And it hasn’t taken long to realize they were right. Franco and his allies are crushing us. Isn’t it strange that I waited until late 1938 to join the brigades? My determination grew only as the Loyalists were losing heart as well as most of the battles. It seems as though my whole life has been one losing battle after another. I can’t tell you how many nights I stare into the darkness, thinking of our terrible last moments together. I’ve loved you so long that every breath I take is like breathing for you even though we are thousands of miles apart. I hope your bitterness has passed and you will remember the happiness we shared. I’m glad you did not come with me. Glad you are not here to witness the depravity of man. Still, I would give anything to have you next to me. To smell the freshness of your hair, the perfume of your skin. Yesterday we liberated political prisoners held by the Civil Guard. These evil men in their dark cloaks and patent leather hats are the epitome of Franco’s Black Spain. Their legacy is death. People see them coming and they run for their lives. If I told you the things these monsters do to torture the human body, you would have the same nightmares I do. I miss you desperately, sometimes at the strangest moments. When my gun misfires or a bomb explodes in the trenches and flying shrapnel shreds the person next to me. Or as I run toward the fascists, my belly filled with terror. In fields where bombs, not flowers, explode, I don’t dare stop, for there is certainly a bullet, a bomb with my name on it, waiting, waiting for me to slow down, stop, so it can catch me. Yesterday, as I walked through a silent battlefield, I looked into the eyes of the dead. The emptiness made me feel weak and I fell to the ground. The sky turned very dark and a flash of yellow light blinded me. All at once, a sense of peace and hope lifted me to a place where there were no more dead bodies, only an orchard of soft green olive trees. It was so beautiful. Although it is winter here, as I floated, voices swirled around me, carried on a soft summer breeze. Pincus Levine and my mother, even Uncle Heshie, were there surrounding me in a warmth that made me feel young and whole. Since then, I’m no longer afraid. I’m finally at peace. Ellen, I can hear you telling me how insane I’ve become. Maybe you are right. The dead bodies are still here. And there will be more every day. But one thing I know without a doubt. You have been my redemption. And you will remain my shield against the horrors surrounding me. It is the thought of you that makes me still feel whole. And on the days when I ask myself why I’m here, you are the answer. I’m here to protect you, and everyone I love. We are fighting for you! Winner! The 2014 Stellar Sci-fi Contest For Science Fiction Dystopian Novel. A damning evaluation of a system that had put technological advancements ahead of human rights, and protection of the environment. In a dystopian world where the corporations have taken over, the Earth’s resources are at the limit of their ability to give, and the people are trapped by a brutal business regime that controls every aspect of their lives. But a few brave souls find the courage to fight the system, among them, Zoe, a mother whose child is taken from her with she contracts a deadly disease. The novel is a chilling look at what happens when profit comes before all else, especially when it’s shored up by propaganda and the “efficient” use of power. 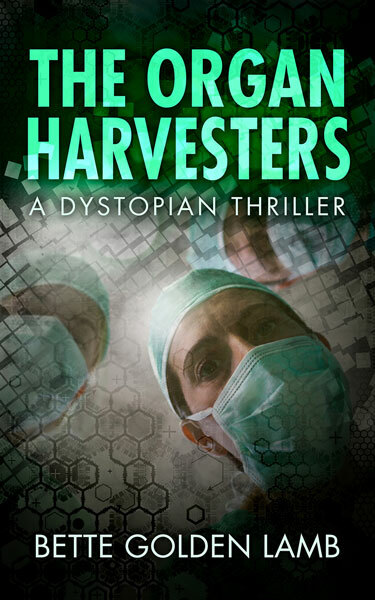 For fans of dystopian fiction, this one has all the creepy, spine-chilling horror one could want. that just meant there was room for a sequel. This entry was posted in Uncategorized and tagged Bravery, History, idealism, Rememberance, War on February 16, 2015 by Bette Golden Lamb.